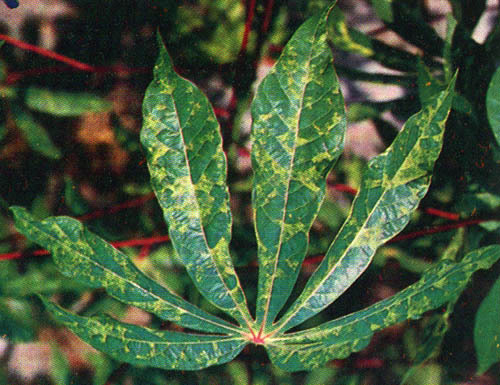 An infected leaf has white or pale-yellow or pale-green spots. It is often twisted, distorted, and stunted. The leaflets have uniformed or localized mosaic pattern. Heavily infested plant is distorted, retarded, and dwarfted. Whiteflies are the carrier of the disease and transmission is through their feeding habits.